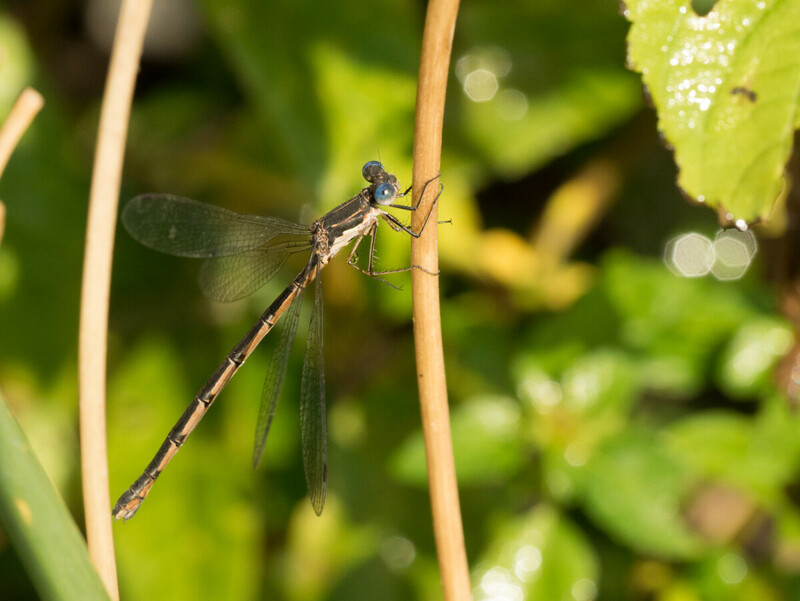 A blue eyed dragonfly with clear wings and a brown/black segmented tail. I tried several insect/dragonfly identifiers online but cound't find one that matched. A little disappointed I couldn't get the eyes in focus.